A promising motorcycle racer from Calgary had died following a crash in Quebec over the weekend. John Ross MacRae was taking part in the qualifying race for the Harley-Davidson Canada XR1200 Cup season finale at the Mopar Canadian Superbike Championship Saturday, when he was involved in a single-bike accident at Le Circuit Mont-Tremblant, organizers of the event said. The 24-year-old was transported to hospital in Montreal, where he succumbed to his injuries Sunday morning. “JR was going downhill and had no chance of saving it at the speed he was going,” said Darren James, MacRae’s mentor and owner of their team, Ruthless Racing Inc., to the Calgary Herald. James was riding behind MacRae at the time of the crash and says he knew MacRae wouldn't hit the air fence, a barrier meant to protect rides from serious injury, which he missed by about two feet, CTV reports. "I've seen bad accidents - I knew it was as serious as it possibly could be," he said. XR1200 riders embarked on a lap of tribute to remember MacRae on Sunday. 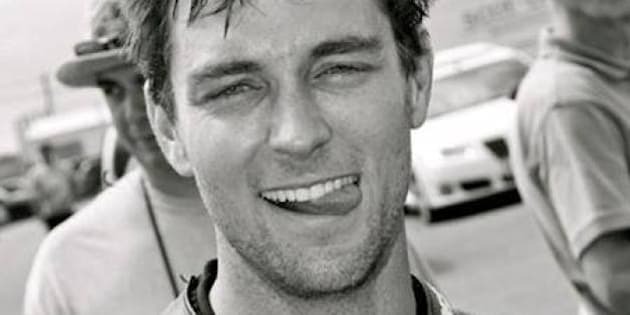 Tributes poured in on MacRae's personal Facebook page as well as his racing team page. "With Heavy hearts we at Ruthless Racing have lost a team member," says one condolence. "JR you are a amazing human being... I will never forget," it adds. "Thanks for teaching me how to ride the hard roads," said Issa Breibish. MacRae celebrated his first national event win in the XR1200 Cup class just two weeks ago at the Canadian Tire Motorsport Park. He was qualifying for the Harley-Davidson Canada XR1200 Cup season finale at the time of the crash. Those who knew him say he grew up around motorcycles and started riding at the age of two, CTV reports. He took part in his first road race at the age of 12 and also worked at his father's business, Blackfoot Motosports, CTV adds. A memorial service is expected in Calgary.